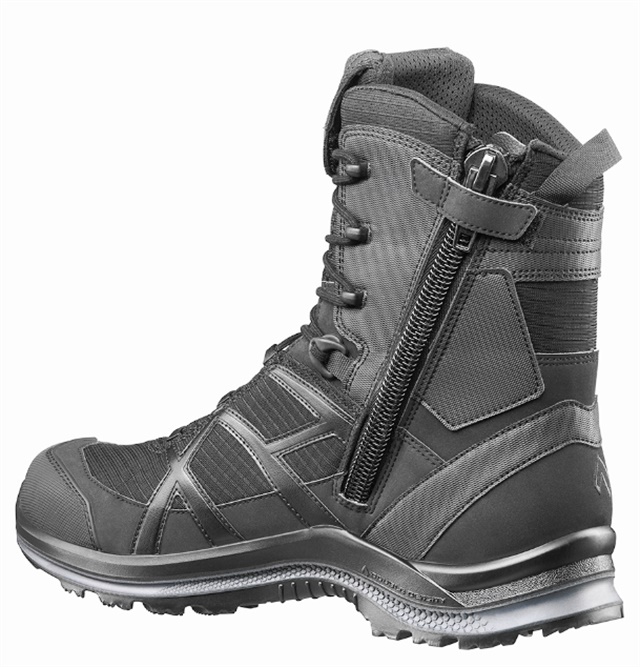 5.11 Tactical's Apex 8" Boot is designed with comfort and toughness in mind. The Apex is built on a resoleable Vibram Maltese outsole and added Vibram Megagrip compound for greater traction on dry or wet terrain. This boot also features a D30 Support footbed and D30 Lite EVA midsole for support and all-day comfort. An 8" full grain leather upper is reinforced with a Kevlar heel and 1,680-denier nylon heel panel. 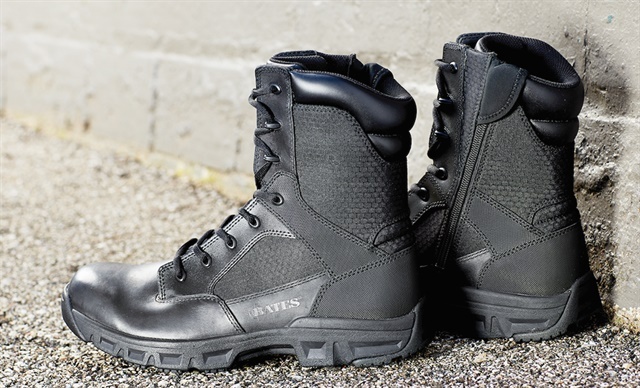 The Bates Code 6.2 boot is the manufacturer's most breathable boot ever. The mesh panels have been re-engineered for increased abrasion resistance. 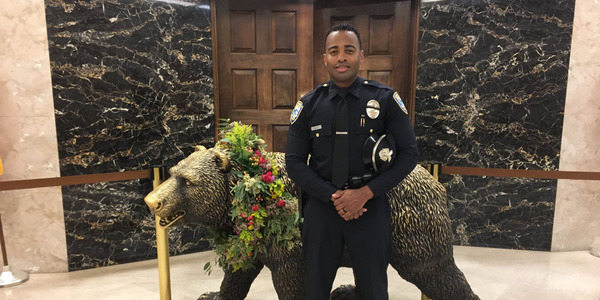 The Code 6.2's collar has been redesigned to provide additional padding and comfort. The Vapor Mesh tongue provides extreme breathability, while the V-FIT comfort lacing system allows more air through the tongue of the boot. 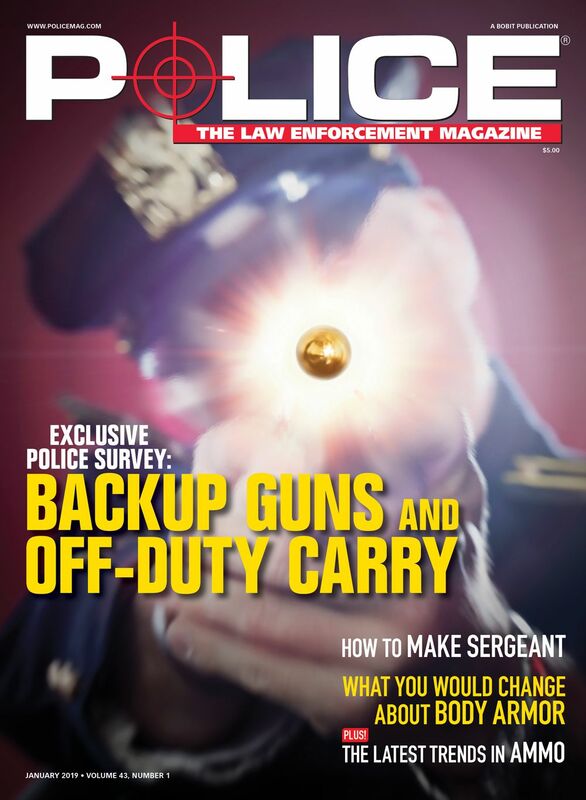 The Code 6.2 is available in the 6-inch boot and the 8-inch with a side zip. 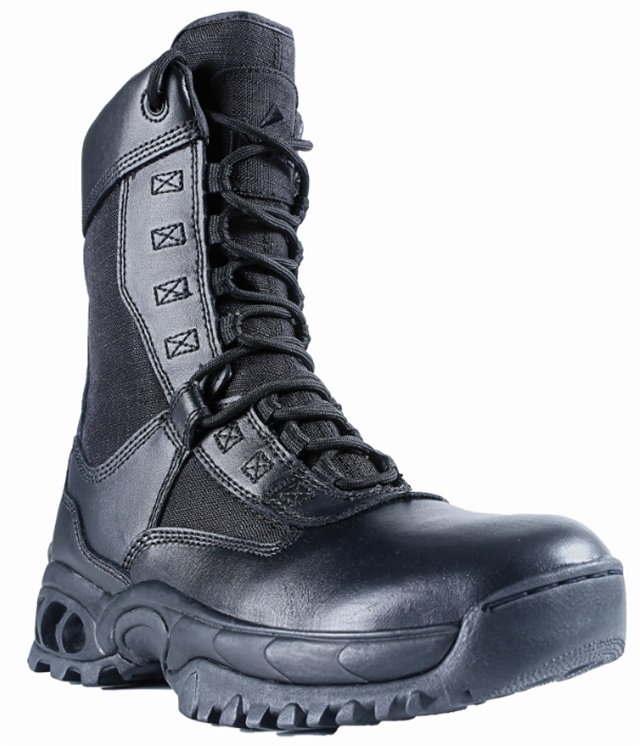 Dickies' 6" Javelin Tactical Boots are made of leather and abrasion-resistant nylon panels. 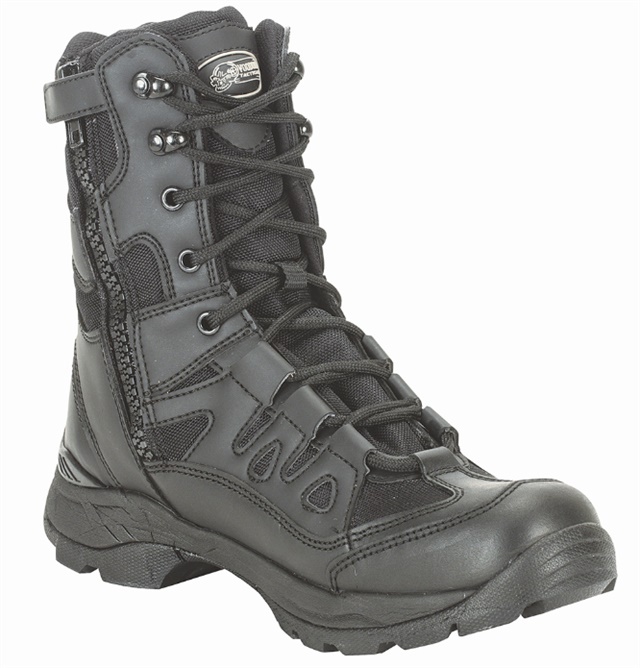 The boots are fully lined with moisture-wicking performance fabric to keep you comfortable during summer shifts. The insole is shock absorbing for all-day comfort and the outersole is oil- and slip resistant. 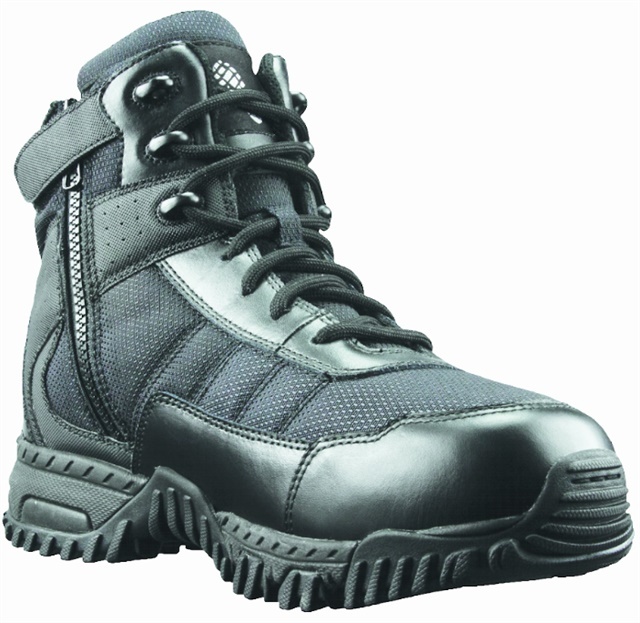 The boots also include a steel toe that offers electric hazard protection. 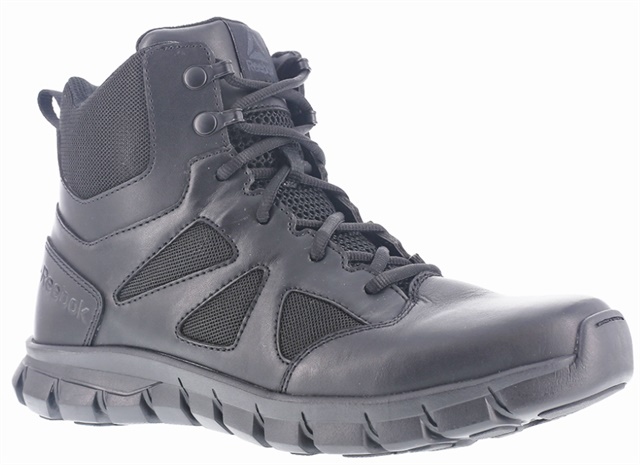 First Tactical designers have created an ultra-lightweight yet durable and breathable boot ideal for special operations as well as everyday wear. With a Torsion Flex fiberglass reinforced composite shank that is 75% lighter than steel, this boot is designed to provide stability and reduce fatigue no matter the situation at hand. The Black Eagle Athletic 2.0 T High Side Zip from Haix is built for maximum lightness and breathability. 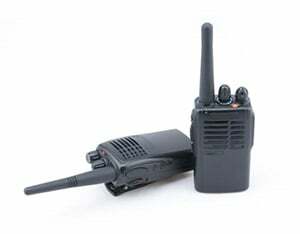 The sole is non-slip, shock absorbing, non-marking, fuel and oil resistant, and heat resistant. The Black Eagle tread naturally releases dried and caked on mud and dirt as you walk. This boot is made to maintain excellent grip on uneven terrain, even in the cold. The High Side Zip also provides softer cushioning in the heel and more padding in the ankle area for additional support and stability. Original Footwear's Vengeance Boot is built to provide lightweight duty where speed and readiness are the highest priority. The Vengeance SR Side-Zip utilizes YKK's durable Vision zipper, allowing the wearer to get into action as soon as possible. A custom-molded thermoplastic heel counter and toe box provide instant comfort and lateral support. The Reebok Sublite Cushion Tactical boot incorporates Sublite foam midsole technology to maximize cushioning while minimizing weight. Deep flex grooves in the midsole allow for natural movement, letting feet bend and balance naturally. At the heel and toe are rubber pads for stopping power and takeoff propulsion. 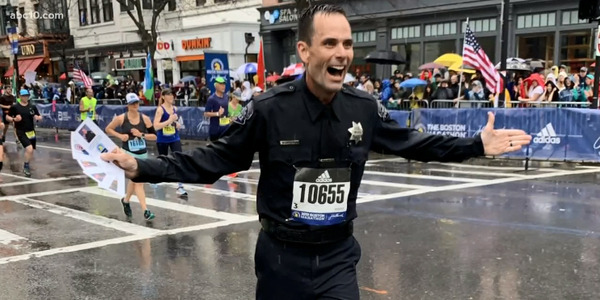 The boot also features a MemoryTech Massage footbed that adapts to foot contours and a slip-resistant outsole for grip in slippery conditions. 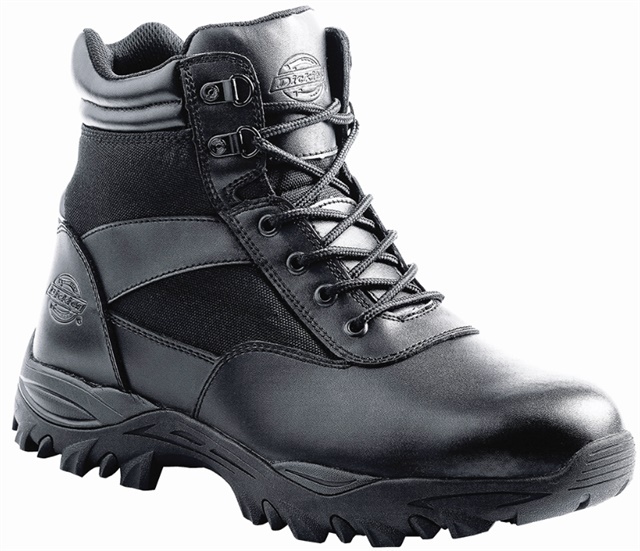 Ridge created the Air-Tac series of boots to provide wearers lightweight comfort and support throughout the day. A full-grain leather toe box, ripstop nylon, and double and triple stitching help create a boot that lasts. Ridge's new Air Heel System is designed to offer maximum support with a removable insole and dual air chamber heel support and composite shank. The Omni boot collection by Thorogood is durable and lightweight for all-day comfort. These boots feature a leather upper and Gore-Tex. A removable, military-grade polyurethane footbed is designed to eliminate break-in time before or during your shift. The oil- and slip-resistance of an Omni outsole helps you maneuver with confidence in these lightweight, flexible boots. 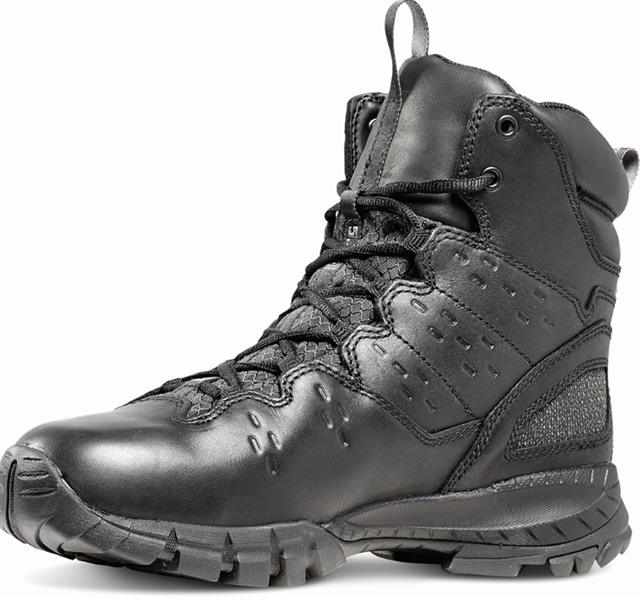 The Timberland Pro Valor series is built specifically to provide law enforcement professionals with lightweight comfort, durability, and performance on the job. The Pro Valor features Timberland's exclusive Dynamic Anti-Fatigue Technology that absorbs shock and returns energy for all-day comfort. 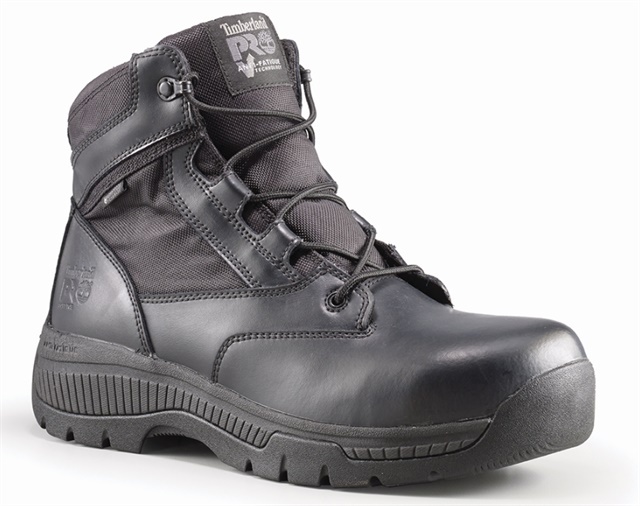 This boot also features an EVA midsole and Timberland Pro Rubber Outsole with added surface area for enhanced slip resistance, and features a waterproof upper, metal detector-friendly hardware, and side-zip for ease of entry. 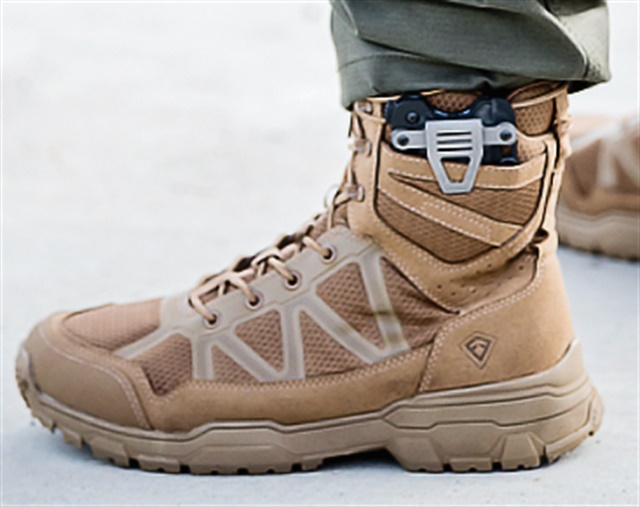 Voodoo Tactical has developed a new 9" tactical boot available in desert tan roughened suede and black action leather. Both boots are lightweight and feature a side zipper with hook-n-loop zipper flap and a foam-padded collar and tongue for shin and ankle protection with breathable vapor-wick lining. A slip-resistant compound dura-grip outsole, sewn pull-on loop, and removable comfort cushion footbed offer cradled support and all-day comfort, while a metal loop speed lace system is designed for maximum performance. Double stitching throughout the boot provides extra durability.